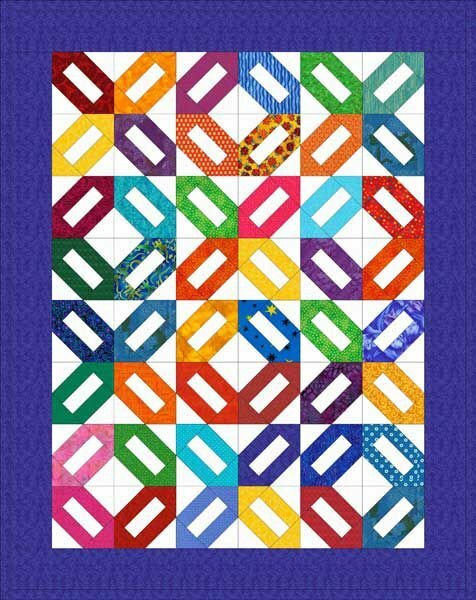 "This small quilt is made with 6" Cracker quilt blocks. 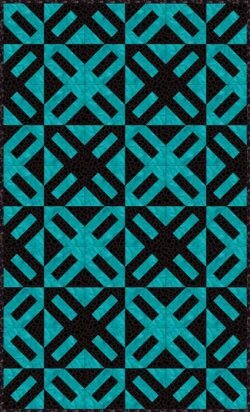 The blocks can be sewn into groups of four to make the final layout easier. Be sure to look at the last two pages of the pattern for additional layouts options before you sew quilt blocks together. A design wall will help you choose a layout. 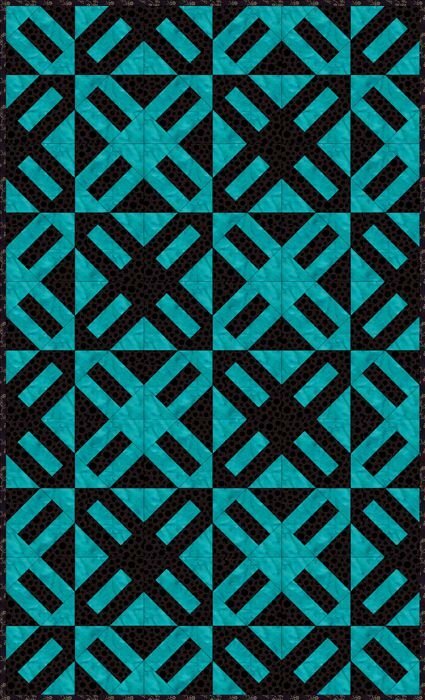 "Only two fabrics are used for the Cracker quilt blocks, a black print and a turquoise blue mottled fabric, but you can sew with additional fabrics, and may prefer to make a scrap quilt from the pattern."